When was the last time you used your executive resume? When was the last time you even thought about it or looked at it? If you’re like many of the c-suite and senior-level executives I work with you’ve either never needed an executive resume to get noticed and land a job . . . or it’s been many years since you’ve needed one . . . or you’re not happy with your resume. You may be unaware of how much executive resumes have changed in just the past few years. Your executive resume may be dangerously old-fashioned. 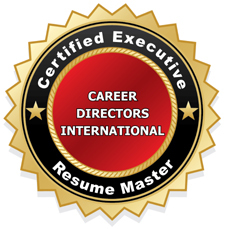 Before dusting off your old resume (if you have one), merely updating it with your latest contributions and career history, and expecting that, when you put it out there they will come, you need to get a handle on today’s modern resume and what part it plays in the new world of executive job search. And guess what? A great resume alone probably won’t get you into your next great gig. Your paper/digital resume will probably NOT be your first introduction to recruiters and hiring decision makers. Many surveys show that the vast majority of them social recruit. That is, they source and assess candidates through Google search, LinkedIn, Twitter, and other social media. If you don’t have a strong online footprint providing them with plenty of on-brand information supporting your value proposition, you’re likely facing a prolonged job search. All things being equal – skill sets, qualifications, relevant experience, education, etc. – job seekers with stronger online presence are the ones who are noticed and chosen over those who have little or no presence online. So why bother with an executive resume at all? 1. You need to get your brand and value proposition together before moving them online, so that you send a clear consistent message across all channels. Slapping up a LinkedIn profile, other social media profiles, a website, or web portfolio before doing the initial branding, targeting and research work is a mistake. 2. You’ll still need a paper/digital resume at some point in the hiring process – it’s still recognized job search currency. So make sure it’s a knockout. Helps you develop messaging designed to resonate with your target audience. 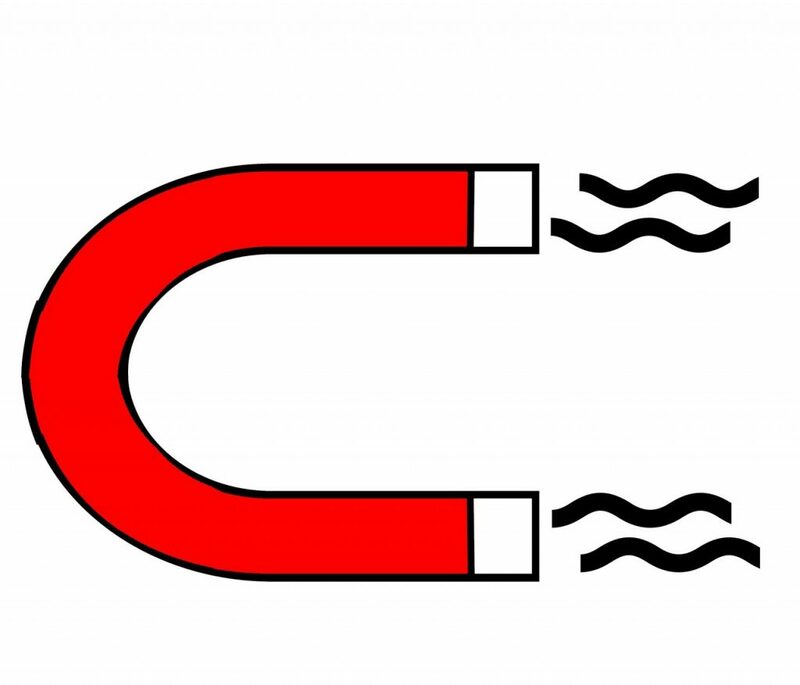 Energizes you with what differentiates your unique promise of value from your competitors. Provides a wealth of on-brand information to repurpose for each of your online profiles and any web pages you create. Understand that before you can write a great resume, you need to lay the groundwork with these critical first-steps – targeting, researching and personal branding. 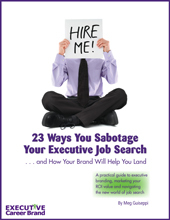 Below you’ll find basic guidelines to write your executive resume. 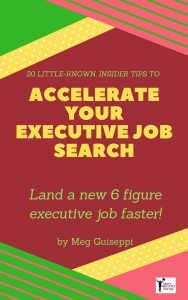 To do an even better job, use my Executive Job Search Worksheets Package, which includes an in depth Career History Worksheet, along with the other 3 comprehensive worksheets I actually use with my clients . 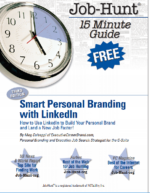 . . to write knockout LinkedIn profiles, executive resumes, biographies, cover letters, etc. for them. A generic resume that tries to cover too many bases will probably fall flat. If you don’t write to a specific target audience, your resume won’t speak to the recruiters and hiring decision makers reading it, or help them connect you to the job they’re trying to fill. They don’t have the time or inclination to sift through irrelevant information to see if you warrant interviewing. Everything in your resume has to align with what they’ll be looking for in candidates. Identify the employers you want to work for and research each one to discover their pain points. What current pressing needs do they have that you can help them with? Branding is not optional anymore. In a nutshell, branding links your passions, key personal attributes, and driving strengths with your value proposition, in a crystal clear message that differentiates you from your competition and resonates with your target audience. The things that differentiate your unique promise of value from your job seeking competitors is what will sell you. Companies are looking for vitality, good fit, and personal chemistry in executive candidates. Branding generates chemistry and makes you come alive on the paper, digital, and web page. As you’re building your brand, create your brand positioning statement and a tagline to lead your resume and use elsewhere. Storytelling helps you explain how you make things happen – how you were able to capture profitable advances for your past employers. It helps your target audience zero in on what you’ll do for their organization. They begin to picture you doing the same things for them. Follow a “Challenge – Actions – Results” framework to illuminate your critical contributions to employers. 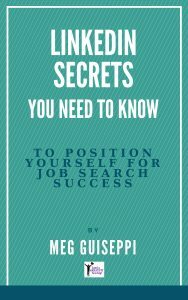 Concise C-A-Rs stories are especially helpful in preparing for interviewing. See my post, How C-A-R Storytelling Gives Executive Resume Branding Zing. Use your C-A-Rs stories to help you develop value proposition messaging that is monetized and linked to your personal brand. SHOW THEM THE NUMBERS! And show them how you accomplished those advances with specific examples. Employers don’t care that you want a “growth position that will utilize my expertise in XYZ”. They want to know what you’ll do for them. Objective statements waste valuable space and prime real estate, and don’t capture attention. Busy executive recruiters and hiring decision makers typically allow only 10 seconds or so for a resume to draw them in. They may read no further than the top part of the first page when screening digital documents. You need to capture and hold their attention right there, and compel them to want to read the entire document. Solution: Brand yourself above the fold. Lead with your personal brand statement which should generate chemistry by balancing your personality with your hard skills, or relevant keywords. Include 3 or 4 value-driven bulleted statements with metrics. Put together your relevant keyword list, or areas of expertise, in an attractive graphic box. More and more hiring decision makers review resumes on hand held devices with tiny screens. When they open a document or web page, it’s more likely to capture and hold their attention with concise statements surrounded by plenty of white space. Avoid densely packed, hard-to-read information. Shorter chunks of information are easier to read and will draw the reader’s eye to continue down the page. The same readability issues apply to people reading your resume on a large screen. Make it appealing looking and easy to read. Doesn’t it go without saying that typos and errors in grammar are the kiss of death? They may also convey misinformation. Proofread several times and have someone else do it, too. Don’t rely on spellcheck. Make sure your contact information at the top of each page of your resume is correct. Keep the formatting attractive, consistent, and clean. Don’t use more than 2 different fonts (one for headings, another for content), and don’t choose frilly, unprofessional fonts. Use graphic lines sparingly, and avoid underlining text. Debate continues over whether an executive resume should be no more than 2 pages, or even only one page. Don’t sweat the resume length too much. Let the content drive the length of your resume. What’s important is positioning yourself as a good fit for the employers you’re targeting, based on which current needs of theirs you can help them with. And nothing you include should be arbitrary. If you’ve had more than a handful of different roles over your career, you’re going to need some space to describe your contributions and the value you offered, using storytelling. That can easily take 3 pages, especially because you don’t want to cram in the content just to fit it to 2 pages. A 3-page c-suite executive resume is perfectly acceptable. In fact, almost all the resumes I create are 3 pages, because they needed to be. A tip: If your resume spills over to 3 pages, make sure the third page content fills up at least a third of the page. If you only have, say, 5-10 lines on the third page, you can surely edit and tighten things up so that your resume is only 2 pages. Write your resume from your own voice. You’re not like everyone else. Find the precise words that describe what makes you unique and valuable. Keep the content interesting and don’t fall back on dull phrases that don’t differentiate you, such as results-oriented, visionary leader, excellent communication skills, proven track record of success, etc. 10. Passive Verbs and Repetitive Job Descriptions. Avoid the over-used, boring phrase “responsible for”. Show your vitality with robust action verbs and explain your niche expertise with relevant key words. Use strong words like pioneered, envisioned, accelerated, benchmarked, incentivized, leveraged, etc. Don’t waste precious space in the “Professional Experience” section reiterating obvious responsibilities. Readers will already know the basic duties for your jobs. Yes, your resume needs to have plenty of relevant keywords in it, but for the highly-formatted version, you can lighten up on them. Instead, jam-pack your ATS-friendly (or text) resume – the one that will go into Applicant Tracking Systems (or databases) when you apply through executive recruiters, HR and online job postings. Always keep in mind that real people with particular sets of criteria are reading your resume. Put yourself in their shoes and give them the information they’re looking for in a document or web page that’s easy to read and digest. Make it easy for them to assess your “fit” for the position and corporate culture. Make it easy for them to hire you.